Khan will confirm details of her first album since 2007’s Funk This soon. 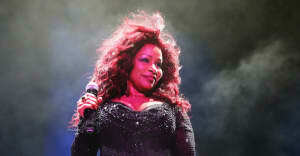 Chaka Khan has shared the video for new song "Like Sugar." The track, debuted last week, is the first from Khan's forthcoming new studio album. She has signed to Diary Records, a new label headed by former Major Lazer member Switch, and will release her first record since 2007's Funk This on an undisclosed date. The "Like Sugar" video shows a succession of characters whose dance moves are looped, the images slowly building into something like a GIF that's broken in surreal fashion. Check it out above.